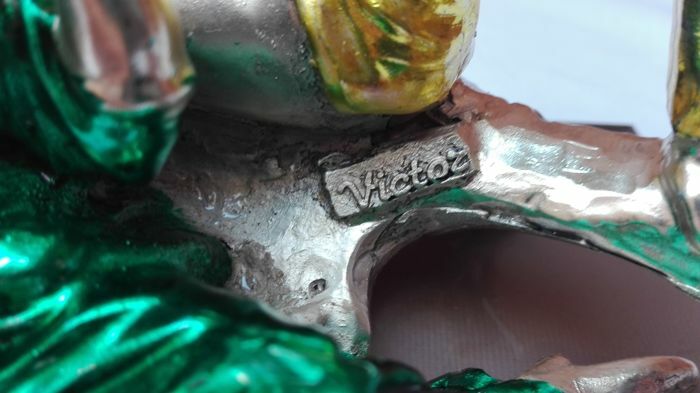 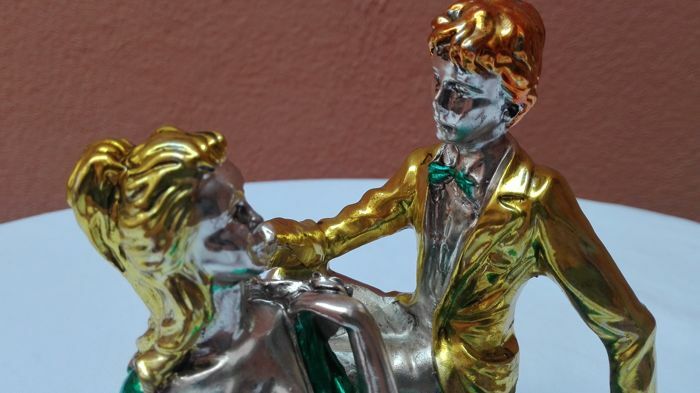 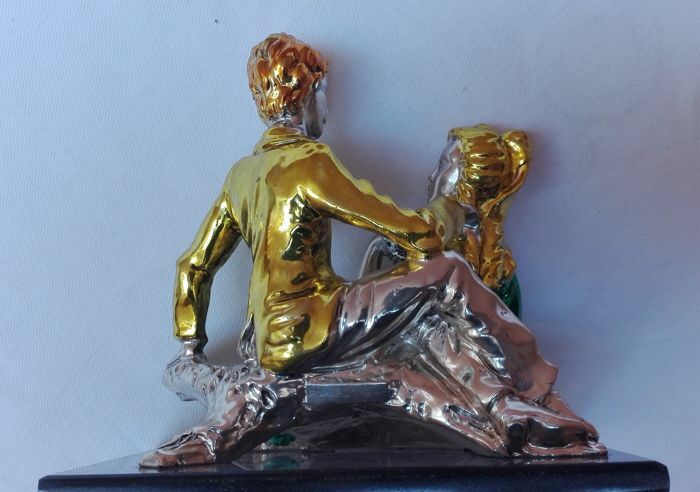 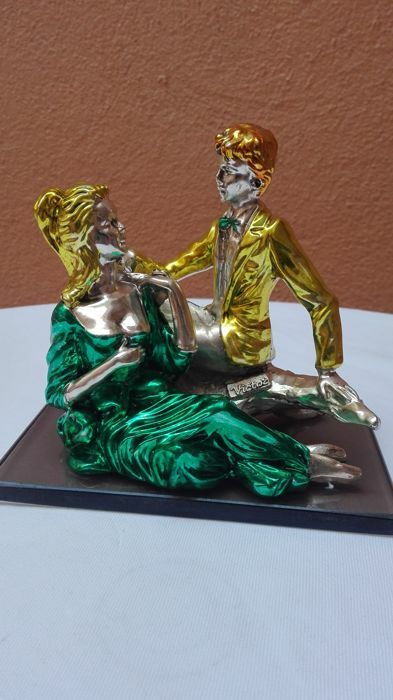 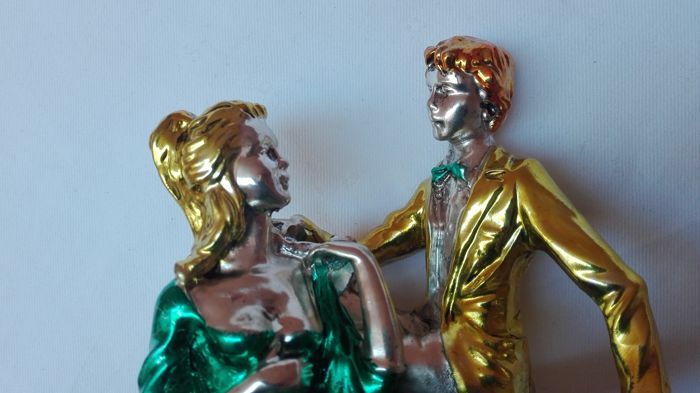 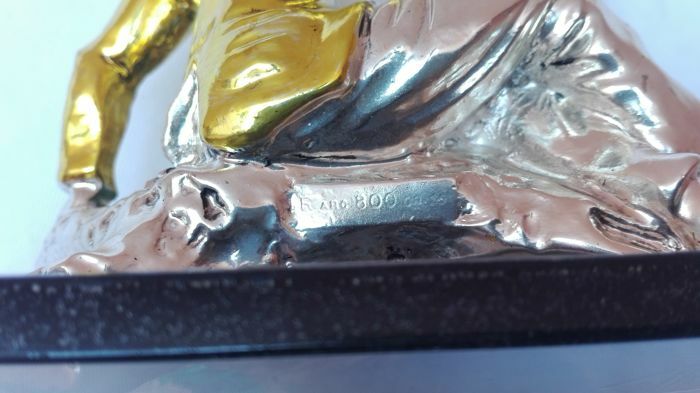 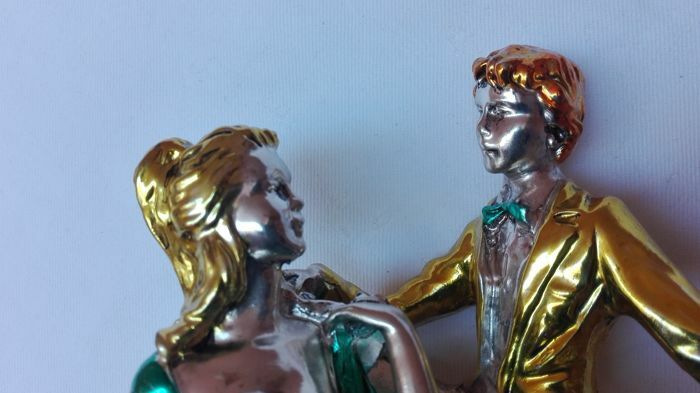 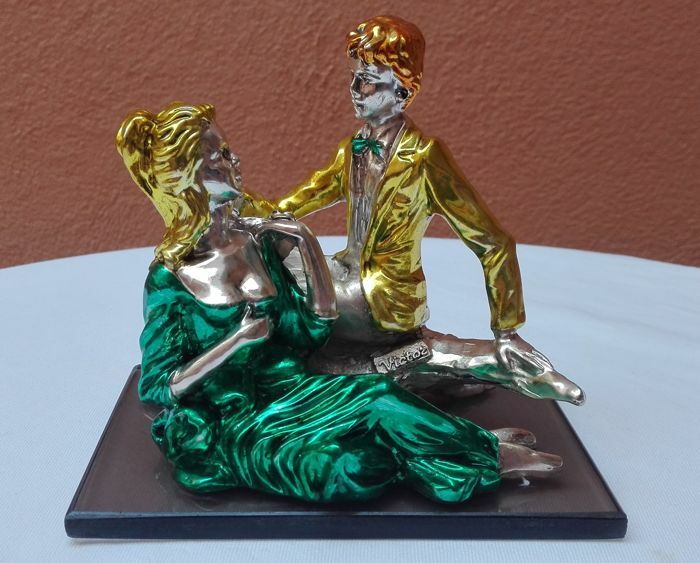 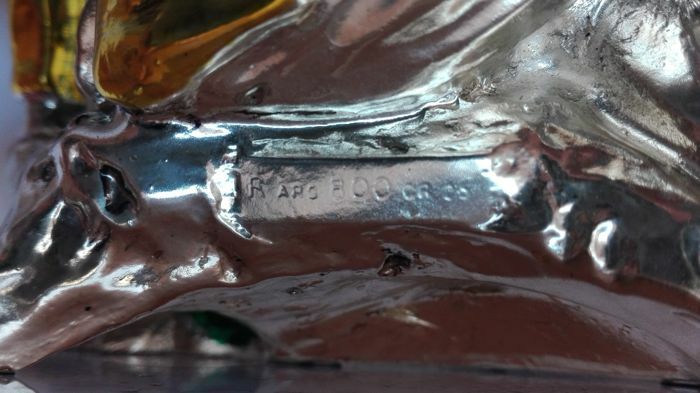 Statue in Italian rolled silver 800, signed “Victor”, with details in coloured silver. 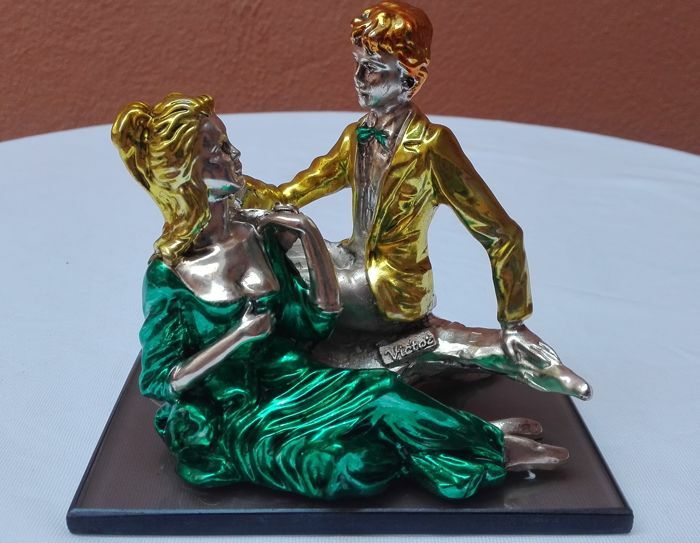 A young couple of lovers, sitting on a tree trunk and displaying affection. 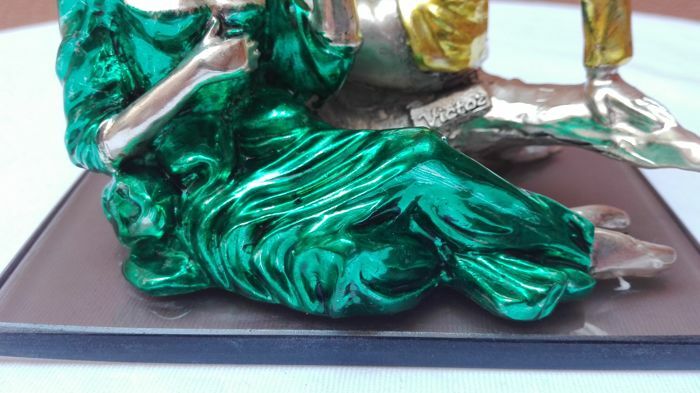 The sculpture rests on a dark crystal base and is in excellent condition, as shown in photos. 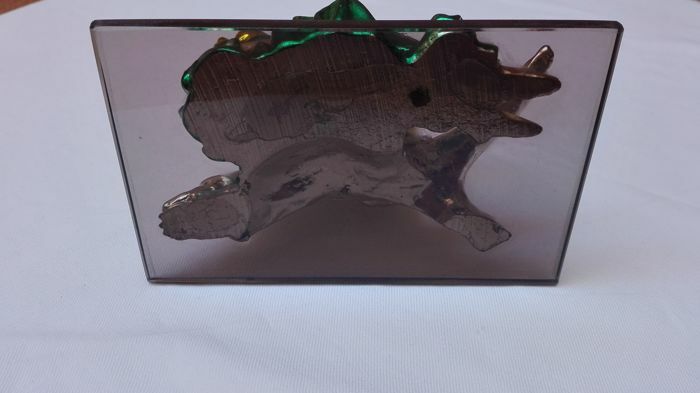 Dimensions: height 12.5 cm, base 14x9cm, weight approximately 620 grams.